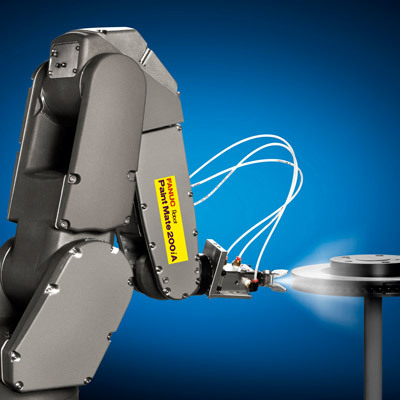 This fast moving paint robot offers best-in-class performance across a range of coating and paint spraying applications. 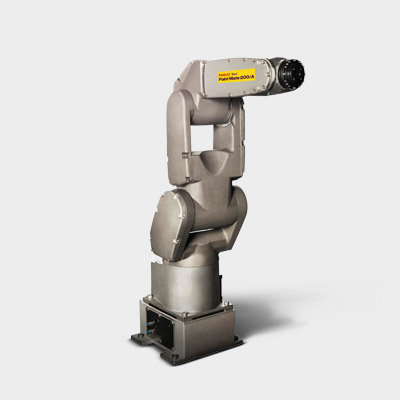 Featuring 6-axis versatility and numerous mounting possibilities, it is ideal for any number of painting applications across a range of different industries and hazardous environments. 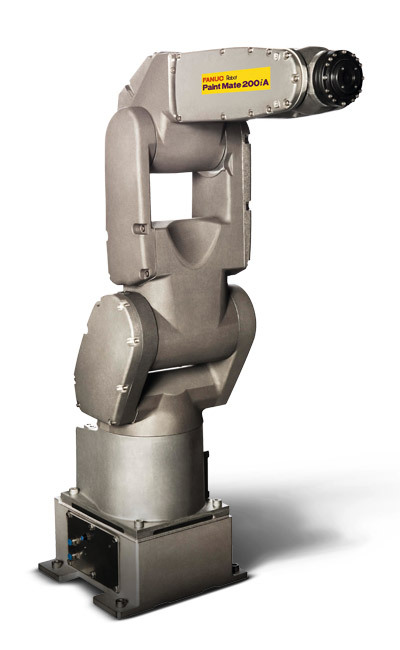 Based on the highly renowned LR Mate series, this robot's envelopes, speed and dexterity are ideally suited to coatings and hazardous duty applications. 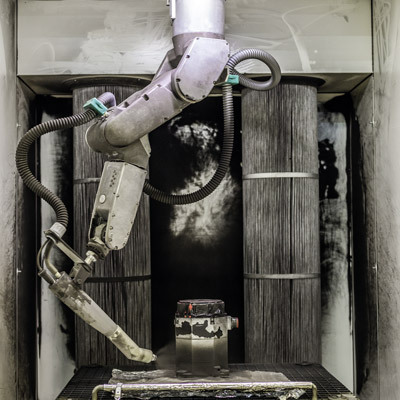 To get the most out of even the smallest of paint booths, this robot comes with floor, invert, angle and wall mounting options for increased locational versatility. 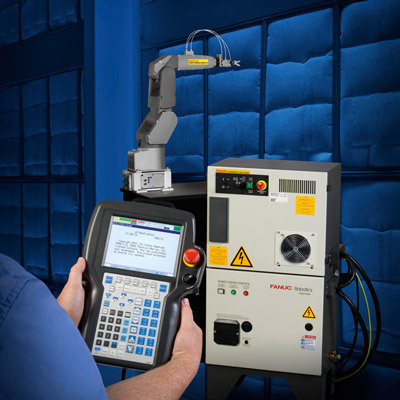 Including built-in paint function controls, FANUC's dedicated paint software makes it easy to configure stand alone or multi robot systems. 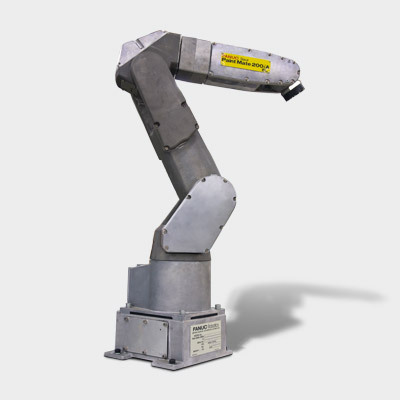 Ideal for painting, coating, assembly, handling, dispensing and material removal in hazardous environments, this robot is a material saving alternative to multiple fixed guns. 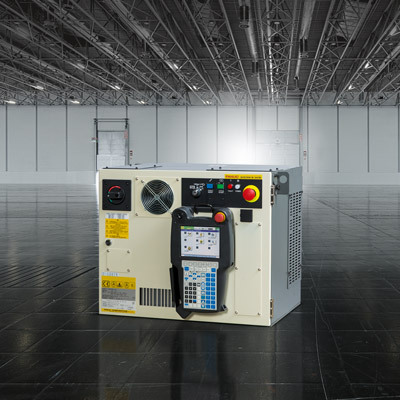 The latest generation of a proven design with sealed bearings and brushless AC motors, purged and pressurized cavities. 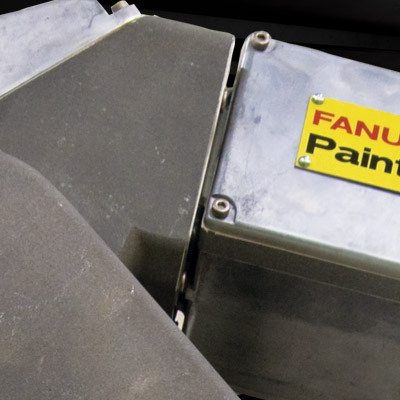 Designed for maximum reliability in painting environments.